We’re all seeking an anchor for our soul to cling to in the storm. Beginning with Hebrews 6:17-19 we can KNOW our source of security and hope. Your summary download sheets are HERE and HERE. You can download some extra note taking sheets HERE. With those in hand let’s take a look at the first of several anchors. Anchor Verse: I John 3:1-2 See how great a love the Father has bestowed on us, that we would be called children of God; and such we are. For this reason the world does not know us, because it did not know Him. 2 Beloved, now we are children of God, and it has not appeared as yet what we will be. We know that when He appears, we will be like Him, because we will see Him just as He is. God has made a clear way to have a relationship with him. Because he loved us, he sent his Son, Jesus, to pay the price we owed for our sins. (John 3:16) Everyone is a sinner and must believe that Jesus, as the Son of God, died on Calvary for the payment of sin. He created us in Him image mind, body and soul. We are made with a working Adam (your calling, purpose, physical activity) and a walking Adam (the spirit that communes with God and worships him, walked with God in the cool of the day). We need a balance of both or we will end up not feeding our soul. We called a Royal Priesthood, Children of God, Heirs, Brothers, Adopted. In other words, we belong to him. 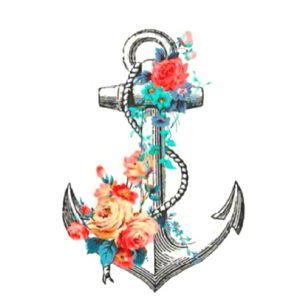 During any trial or storm we will need to cling to the anchor. During the days of ease we can draw near in preparation for the storm. Be near to Him by being in his word, the Bible. Read it. Memorize it. Meditate on it. Sing it. Write down at least one time during the day that you could draw near by being in scripture. Write this week’s anchor verse on a sticky note for the car visor or the frig or the mirror. The enclosed worksheets are loaded with verses to look at and will help you draw near. Comment below with one that really encouraged you and why. What keeps you from feeling loved by God? What helps you draw near? Feel free to post your thoughts on the closed group through FaceBook or this blog. If you didn’t get the invite please call Laura M or Cindy L. We’ll be posting on Instagram as leiscindy with #soulsurvival and #soulanchor.